You will cherish this pristine home sited on a 1/4-acre lot on a beautiful street in the desirable Mount Vernon section of South Lawrence. Lovingly maintained and beautifully appointed throughout, it is much larger than it appears from the outside. The huge living and dining rooms with bay windows and glistening hardwoods are stunning. Updated kitchen has corian-type countertops and recently re-surfaced cabinetry. The four-season sunroom with cathedral ceiling and skylights overlooks lovely and private back yard. The lower level is partially finished and has in-law potential, including a large open area plus one room with cabinets and counter-tops (no appliances),and another room that could easily be used as a 3rd bedroom with accordion doors for privacy. Enjoy the plethora of storage, including a cedar closet on the lower level. 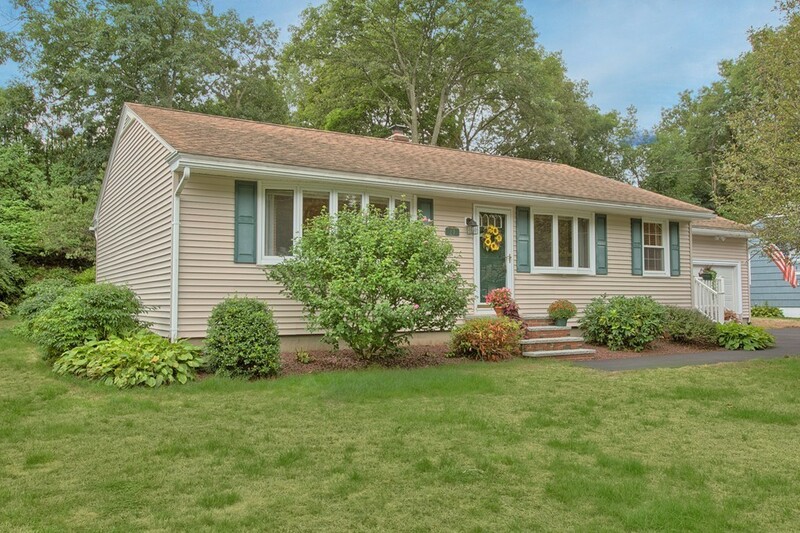 Open House on Saturday, September 10th, from 1 to 3 p.m. This is a very special home and is certain to go quickly!